With lengths up to 30 ft this boat can hold up to 25 people, making it the perfect boat to take a large number of passengers out on the water. Don't let the size fool you because it may be a huge boat, but it can still reach speeds up to 50 mph - sometimes even faster! 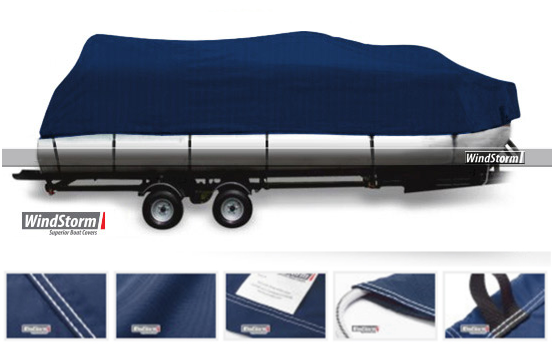 With speeds like that this boat is also perfect for water skiing, tubing, wake boarding or any other water sport. With so much deck space there is also a lot of available onboard storage so you don't have to worry about your boat becoming cluttered. The pontoon boat is also perfect for the budget conscious with entry level models that are generally cheaper than the standard V Hull Boat. Ability to have a family reunion - on a boat! That's how big they are! What's the point of buying a boat if you don't take care of it, right? 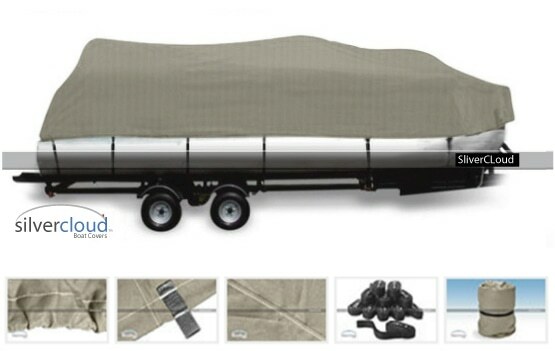 That's why we have designed some of the highest quality Pontoon covers to keep your boat protected against the harshest elements. 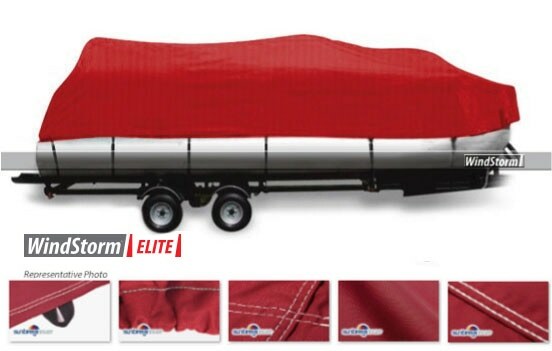 Pick from several options of boat covers including our best seller, Windstorm, which is built to last against the harshest of UV rays and the coldest of winter frosts.